How Does Different Filters Function In Your Car? Your vehicle has a huge amount of filters and filtration systems to keep the air and liquids flowing as freely as possible and at the same time removing any harmful elements that may affect your vehicle performance. Because of this it is important to understand how these filters work and how they benefit your car. 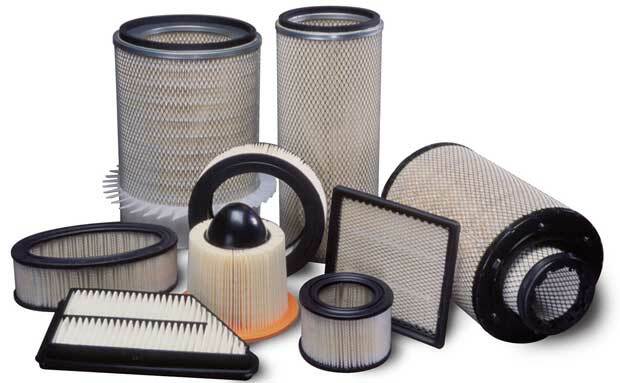 Knowing this will help you in regular replacement of the filters in your car. An engine requires cleaner air than humans to breathe. Imagine travelling at speed along dusty and dirty roads and the air entering your engine is full of contaminants which could prove disastrous for your car once they enter the combustion chamber. Air filters are the initial point of contact for any air that is about to be mixed with your fuel before it combusted. These filters have different levels of filtration (measured in microns) and flow, meaning the amount of air they allow into the system. Filters with higher flow of air are used for performance cars to allow engine generate more power. These filters are generally more advanced and expensive as compared to filters of the passenger cars. Heavy duty filters offer a higher level of filtration for longer duration of time. These heavy duty filters are mostly used in commercial vehicles. The functioning of cabin filter is almost same as an engine air filter, instead of filtering the air that is going to help your car engine, it controls the air quality coming into your cabin through an air conditioning system. Cabin filters make sure that things like dust, exhaust gases and pollen are removed before it enters the car’s cabin and provides safe and contamination free air to the person inside the car. Just like the air going into the engine has to be clean, in the same way the fuel has to be pure and clean before being injected and burnt. Fuel can get contaminated in numerous ways like when it is refined or when it’s stored at petrol stations and even in fuel tank. Hence a good fuel filter is required to keep the fuel clean and pure before entering the engine which will improve the performance of the engine and also lengthen the life of the vehicle. The basic purpose of engine oils is to lubricate all the components of the engine and picking up any contaminants and waste that accumulates in the engine during the process. As the oil goes through the engine and picking the contaminants and waste, it is cleaned by the oil filter before going through the engine again. This gives engine oil the cleaning power and long-life that’s so important for the engine.